As far as I can remember, I’ve always been Team Cake. Moist, fluffy cake topped with creamy, delicious frosting. Is there anything better? 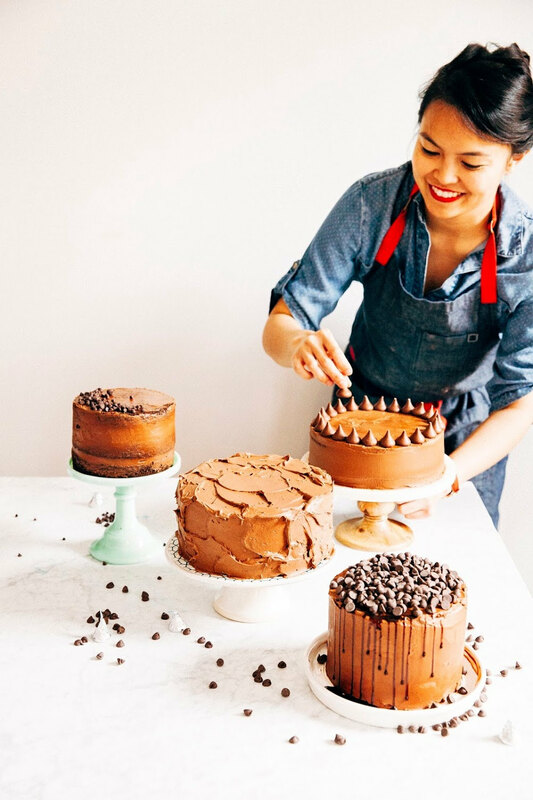 The first thing I ever obsessively baked was cake — for me, there is something especially cathartic about bringing a cake together, especially when it came to frosting it. Whether opting for smooth edges or rustic swirls, I found decorating cake to be much more forgiving and easier than anything to do with pie. Because pie. Ugh, don’t get me started. I’ve never been the world’s best pie baker. At worst, my pie crusts came out soggy. At best, despite finally mastering the tasty flavor and texture, they came out ugly. 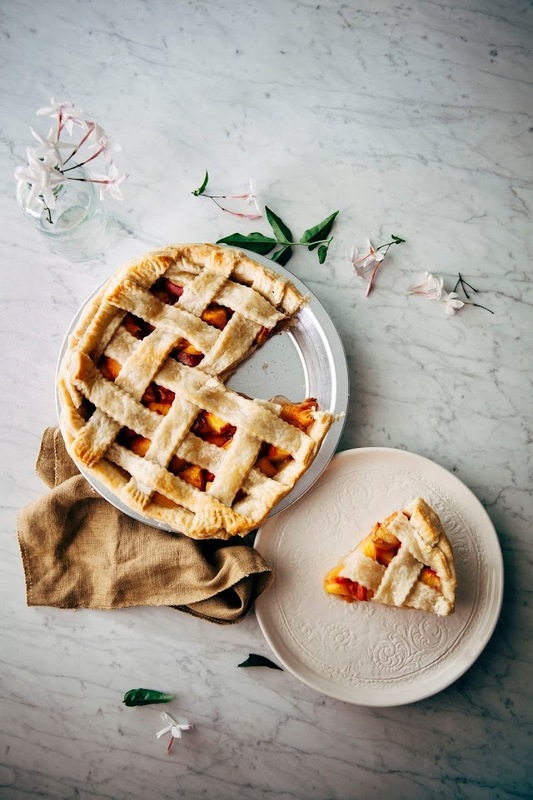 Shrunken or over-stretched crusts, broken and shrunken lattices… name any kind of pie blemish that you can imagine, and I guarantee you that all my pies have had it. Even after afternoons spent with superior pie bakers and several repeated trials of the same recipe, my pies were inconsistent. Sure, they gradually became better in flavor and flakier in texture… but in terms of looks, they still didn’t hold a candle the gorgeous latticework on Apt 2B Baking Co and Food52. I silently, jealously admired their crusts from a far and decided to avoid making pie as much as possible. Leave it to the experts, ya know? But all the beautiful berries and stonefruit in season have convinced me that it’s time to face my fear. 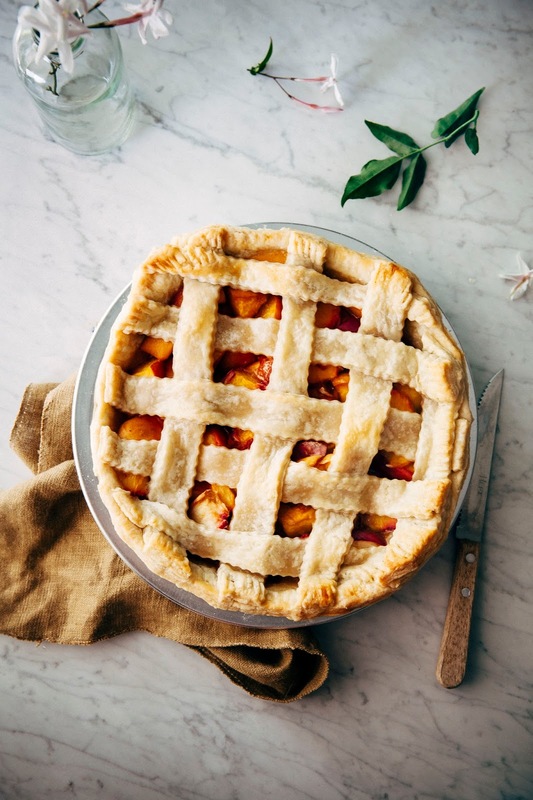 I was going to master the lattice pie this summer, whether or not it killed me. My first attempt was a few weeks ago, with a cherry pie so unphotogenic that it didn’t even make it to this blog. After seeing Elizabeth’s beautiful wide lattice pie, I’d tried to recreate it on my own without paying too close attention to the instructions. And there we have it — Lesson #1: Pay Attention to the Recipe. A lattice pie isn’t something you can really wing. My second attempt is this bourbon and brown sugar peach pie. I literally watched and re-watched this Food52 video on how to weave a lattice crust like 500 times. And it paid off! Pre-baked, it looked awesome(!!!)... and then I pulled it out of the oven. My heart sank. The crust had shrunk a little and pulled away from the pie rim, as well as puffing up weirdly at certain places. I’d used the wrong kind of egg wash, and it hadn’t turned into the beautiful golden brown that I wanted. Disappointed, I almost didn’t share this pie with you guys — but then I grabbed a fork and took a bite. Despite its pale appearance, the crust was perfect! Flaky and tender, with a slight tang from dash of apple cider vinegar recommended by the Four & Twenty Blackbirds Pie Book. But I’ve written about this pie crust before, so it wasn’t anything new or worthwhile to add to the blog. Instead, the peach, bourbon, and brown sugar filling is really what made the cut. I’d trusted my intuition and used only a couple tablespoons of brown sugar in the filling. 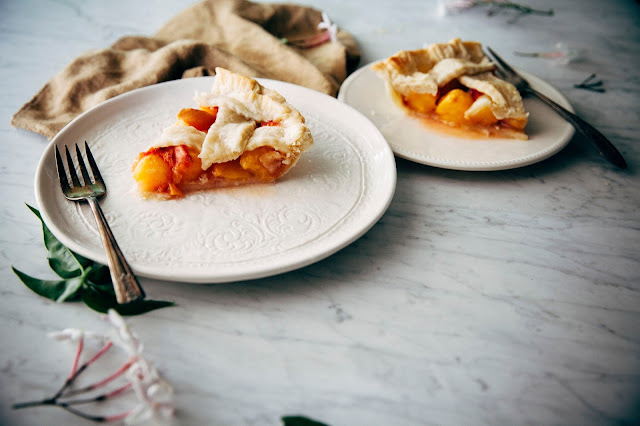 Most peach pie recipes have way too much sugar — but too much doesn’t allow the fruit’s natural sweetness and flavor shine! And with a dash of bourbon and a pinch of cinnamon? Perfect. So watch this space. I’m gonna try making a pie a few more times before summer’s over, just so I can say I’ve nailed the lattice. Next time will be attempt #3. Keep your fingers crossed; they say the third time’s the charm. Oven temperature was too hot. I winged this recipe and just googled a bunch of peach pie recipes. 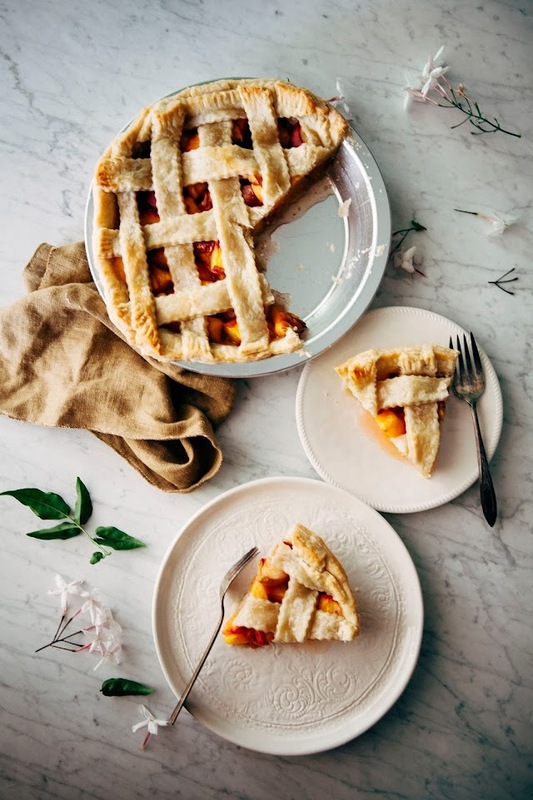 Almost all instructed me to bake the pie at a temperature between 425 - 450 (F) for a quarter of the time needed to bake, before lowering to a cooler temperature (usually 350 (F)) to bake for the rest of the time. I'm pretty sure that this higher temperature is what caused my pie crust to shrink; apparently gluten tends to tighten in higher heat, which causes the shrinkage. Next time, I'll try baking the pie at 350 (F) for the entire time. Cream washes aren't as good as egg washes. Since I was running low on eggs, I'd hastily decided to brush the pie dough with cream instead of the traditional, recommended egg wash. Mistake. The crust came out too pale, almost looking undercooked. You really gotta stick with egg washes for that golden color. I've made the modifications to this recipe below — good luck! For more pie baking tips, be sure to check out my pie baking guide (which I still read every time I start making a pie). In a medium bowl, stir together 2 1/4 cups all-purpose flour, 1 tablespoon granulated sugar, and 1 teaspoon kosher salt. Add 1 cup cold unsalted butter pieces and coat with the flour mixture using a bench scraper or a spatula. With a pastry blender, cut the butter into the flour mixture, working quickly until pea-size pieces of butter remain (a few larger pieces are okay — be careful not to overblend). In a liquid measuring bowl, whisk together 1/2 cup cold water, 1/4 cup apple cider vinegar, and 1/2 cup ice. 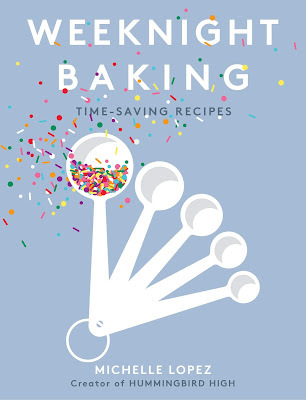 Sprinkle 2 tablespoons if the ice water mixture over the flour mixture (from the first step), continuing to use the pastry blender to cut the water into the mixture until it is fully incorporated. Add more of the ice water mixture, 1 tablespoon at a time, using your hans to mix until the dough comes together in a ball with some dry bits remaining. Squeeze and pinch with your fingertips to bring all the dough together, and, if necessary, sprinkle any dry bits with small drops of ice water to combine. Divide the dough into two equal portions. Shape one portion into a rough disc, and the other into a rough rectangle. Wrap both in plastic, and refrigerate for at least 1 hour, preferably overnight, to give the crust time to mellow. Wrapped tightly, the dough can be refrigerated for 3 days or frozen for 1 month. Once the dough has chilled overnight and has the texture and consistency of saltwater taffy, it's ready to be rolled. Liberally sprinkle a work surface with flour (see baker's notes). Unwrap the circular portion of dough (but keep the rectangular portion in the fridge!) and place it on the work surface, sprinkling its top with flour. If the dough is hard, let it rest for a few minutes. If the dough seems too sticky at first, add flour liberally. Use a rolling pin to roll with light pressure, from the center out, moving the pie dough around every quarter to roll it evenly. Roll the the dough to about 11 to 12 inches in diameter and about 1/4 inch thick (place your pie plate upside down over it to check its size). Move the dough into the pie plate by folding it into quarters, then moving it into the plate and unfolding it. When the dough is in the plate, press it firmly into the bottom and sides of the plate. Use kitchen shears to trim the excess dough, leaving about 1/4-inch overhang over the pie plate's rim. Cover loosely with plastic wrap and place in the coldest part of the refrigerator while you roll out the second portion of dough. Re-flour your surface and roll the second disc of dough into a rough 10- by 15-inch rectangle. Use a pastry wheel or sharp paring knife to cut several 2-inch strips. Transfer the strips to a parchment lined sheet pan, loosely covering with plastic wrap, and place in the freezer while you make the pie filling. 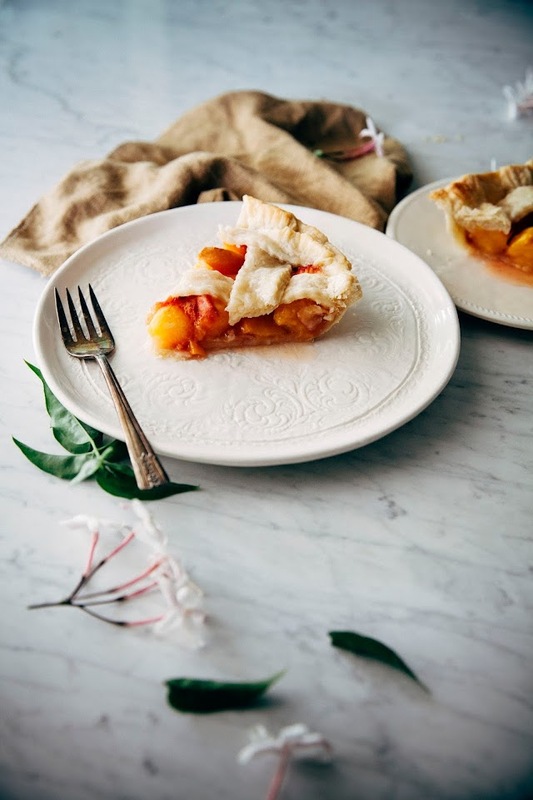 In a medium bowl, toss together 1 pound peach chunks, 3 tablespoons cornstarch, 1 1/2 heaping tablespoons dark brown sugar, 1 tablespoon bourbon, and a generous pinch of kosher salt until well combined. Use a spoon to transfer the pie filling into the cold pie crust base, spreading the filling evenly across the base. It's important that you make the filling to be as even and flat as possible — the more even it is, the prettier your lattice will be. Once you've spread and flattened out the peach filling, use the chilled strips to weave a lattice top (check out this awesome Food52 video for visual instructions!). Use kitchen shears to shorten and fit the strips onto the pie, before using a fork to crimp the base and the strips onto the base. Cover loosely with plastic wrap and transfer to the freezer to chill for 1 hour before baking. Center a rack in the oven and preheat to 350 (F). Line a baking sheet big enough to hold the pie tin with parchment paper. When the oven is preheated, make the eggwash by whisking together 1 large egg with 1 teaspoon water. 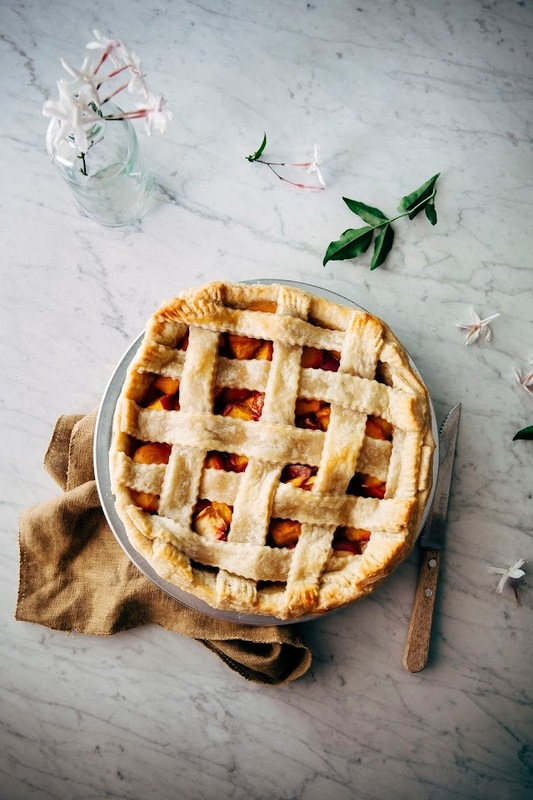 Use a pastry brush to brush the egg wash onto the lattice top and border of the pie crust base, sprinkling granulated sugar over the eggwash. Place on the prepared baking sheet and immediately transfer to the preheated oven. Bake for 45 to 55 minutes, until the pie is golden brown and the filling is bubbling. If the edges brown too quickly, cover with a loose sheet of foil. Cool on a wire rack for 35 to 45 minutes before serving warm, with a dollop of cold whipped cream or ice cream.